Serenity's upbringing and her own health odyssey ignited a lifelong fascination with all things wellness related. This lead her to extensive holistic studies in Reiki, flower essence therapy, massage, nutrition, and more. She has been practicing Reiki since '95, massage since '02 and flower essence therapy since '05. 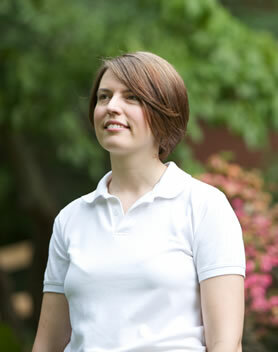 She has worked in elite spas in San Diego, Chicago and here in Asheville. Serenity is a passionate advocate for you! Your health, your vitality, your wellbeing. She brings her intuition and compassion to the massage table, combines that with great technical skills and anatomical knowledge. The result is an amazing massage and a revitalized you! Serenity believes in custom tailoring her approach to each individual. In addition to massage she sells cutting-edge supplements to cleanse and nourish the body. Serenity uses her intuition and background in energy work in Reiki sessions and her final passion, flower essence therapy, to help others achieve emotional-mental-spiritual balance. Using the right tool or service for the client makes for effective therapy and creates lasting results. Helping You Heal Yourself. That's what Serenity and Healing Solutions, are all about. ATTENTION: Email response may take 1 week. Please check your bulk folder for my responses.